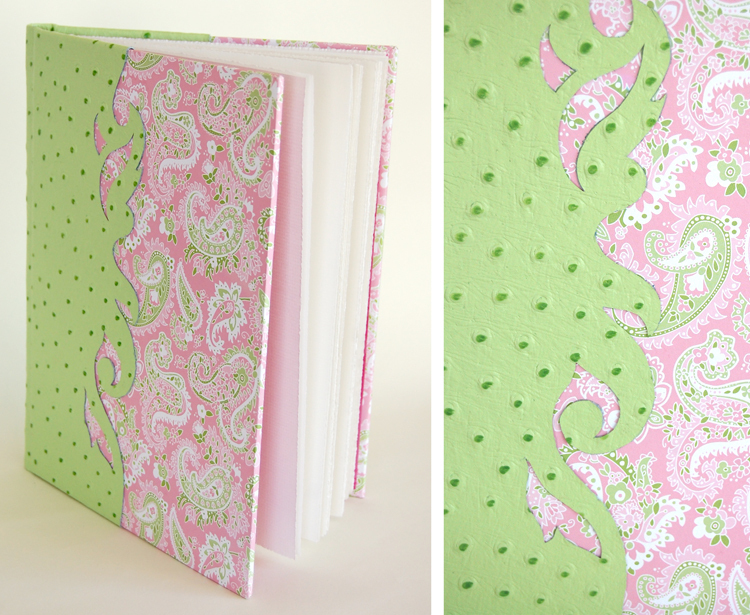 Today’s recycled post comes from a bookbinding project I did in July of 2008. My sister’s friend was getting married & her mom wanted me to bind a wedding sign-in book for the occasion. Her colors were pink & green. Jerre’a sent me the paper & fortunately it matched my green ostrich leather perfectly! It’s so funny how pictures of previous projects take me back in time. Right about this time 3 years ago, I was taking care of a 3 month old Penelope & teaching bookbinding & watercolor classes for the continuing education program in Redwood City, California. We were living in Menlo Park at the time. Our summer was full of hanging out with friends, kiting, beach going & SF touring. I miss those days, but I’m so happy to be where I am right now. It’s memories like those that make me realize how happy things are. I’ve been sort of up and down these last couple of days, so these reflections do me the world of good. This little eBook has been in the works for nearly nine months. It’s gestated just like a baby sans the vomiting and weight gain. See, bookbinding isn’t just for conservators with 2,000 square feet of art space and thousands of dollars in tools. It’s very inclusive, so join the club! 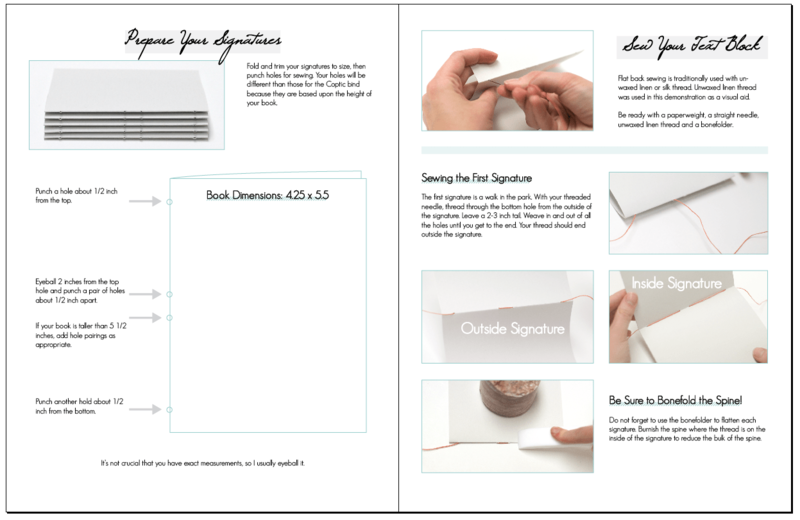 Bookbinding requires a desk, some floor space and a few inexpensive supplies that you might already have. So here it is; learn to bind a flatback journal—just like the blank books in the bookstore—at home, using regular crafting tools. Get your copy by making a selection and clicking the button below. If you’re not sure about the tools to buy, add the tools eBook for only $2 more!